This trendy Italian eatery actually has London roots, with the first restaurant opening on Wardour Street in 1965. The restaurant was born from a love of Italian music, art and authentic pizza, and even in a city like Hong Kong—about as far away from Naples as you can get—you still feel the strong Italian reference. 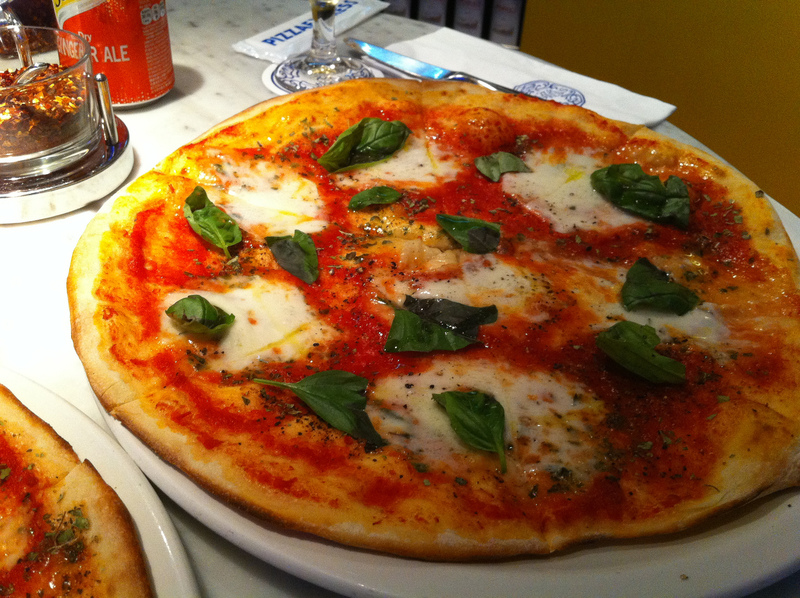 ​Hong Kongers must really like their Italian food, because there's more than a few PizzaExpress restaurants throughout the city, and even one at the Airport. Most of the locations are pretty modern right down to the chic black and white striped uniforms, so you won't feel like you're slumming it at the local pizza chain. Ingredient are King at PizzaExpress, so expect to find these thin crust pizza's topped with San Marzano tomatoes straight from Parma. The dough is hand tossed by the pizza chefs who train for 12 weeks learning the pizza tossing ropes before they're put to work. The kitchens are open concept so you get to see the staff toss your pie while you wait. We tried the four cheese and the classic Margherita, both were fantastic and totally satisfying. The crust was perfectly bubbled in their ovens and created from the ultra secret recipe, which has been a staple since day one. If you're feeling like you've eaten too much doughy dim sum during your Hong Kong trip and need some green in your life, order the 'Leggera pizza' (Italian for light). This pizza is the perfect combo of healthy and delicious, it has a hole in the middle which is replaced with a pile of crispy rocket salad. The whole thing rounds out to just under 600 calories, so it makes a good option if you're flying the next day or watching your diet. After you've gorged yourself on pizza make sure you save room for dolcetti, there's a selection of some great desserts to choose from like tiramisu and gelato. If you really want to get your Italian on you can order an espresso to top it all off. Each location has slightly different hours, but in general they're all open between 11am-10:30pm. We showed up without a reservation, but if you check out the busier branches (say Times Square during dinner time), you might want to think about calling ahead to make sure you get a table.